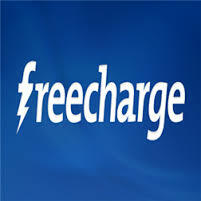 1.First Go to freecharge.in or Download Freecharge Mobile App. 2.Create New account.Verify your Number. 6.Then Enter Coupon HI50 Under GOT A PROMO/FREEFUND CODE? field. 8.Boom! You will get 50 cashback in FC Credits instantly. 9.Offer Valid till 10th October 2015,So grab it fast. Unlimited Trick : Unlimited Trick is depend on How many numbers you can arrange. 1.Go to freecharge.in .Create Another New freecharge account. 4.On next page click on skip coupons. 5.Then Enter Coupon HI50 Under GOT A PROMO/FREEFUND CODE? field. 6.Pay Using Virtual Debit/Credit Cards and you will get Rs 50 Cashback. 7.Just Repeat Process again to get 50 Cashback Unlimited Times.